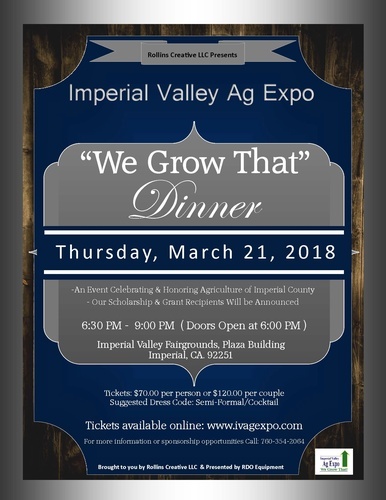 Rollins Creative LLC Presents the Imperial Valley Ag Expo "We Grow That" Dinner on Friday, March 21, 2019 from 6:30 to 9 p.m. at the IV Expo. 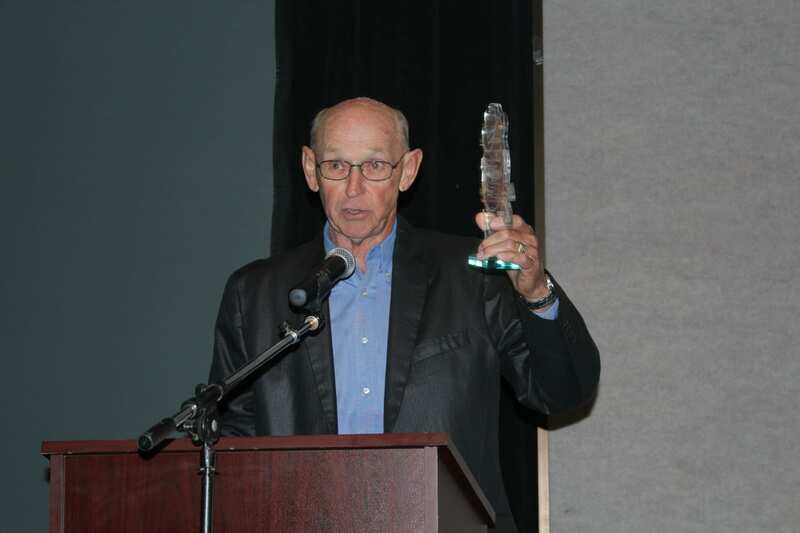 The "We Grow That" Dinner is an event celebrating and honoring agriculture of Imperial Valley. Scholarship and Grant recipients will also be announced. For more information or sponsorship opportunities call: 760-354-2064.